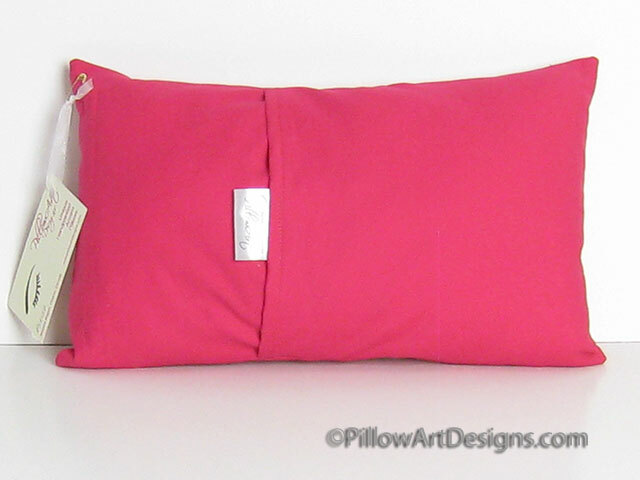 A bright little accent pillow in hot pink and orange, featuring a uniquely hand painted stiletto shoe on the front of the pillow. 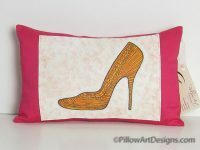 The single high heel shoe is painted in thin stripes and dots in orange, brown and yellow resembling animal or tribal prints. 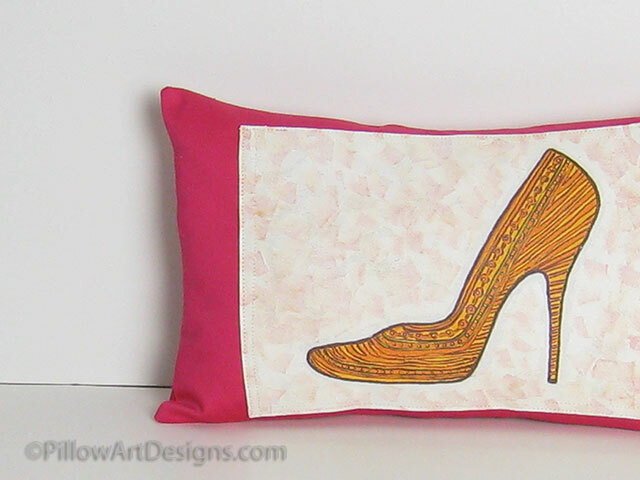 A very unique artistic piece for the shoe lover's decorative theme.